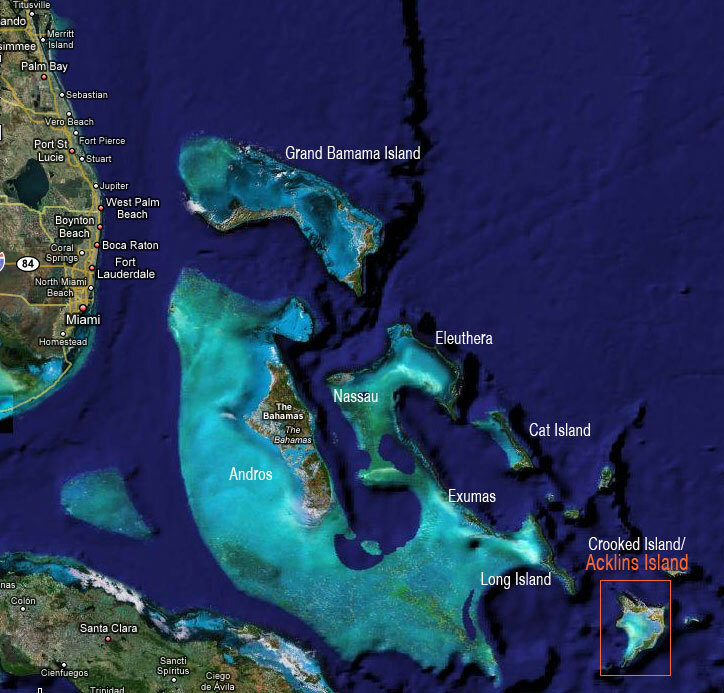 Acklins Island is located about 250 miles southeast of Nassau in the southern Bahamas Archipelago. 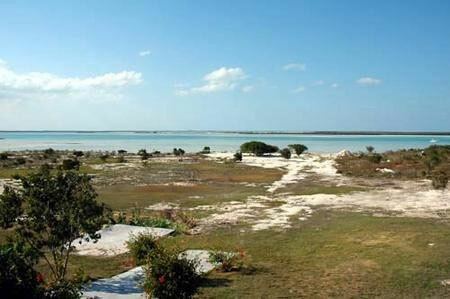 Acklins is a long, narrow, hilly island 50-plus miles long cut from limestone with incredible natural beauty. 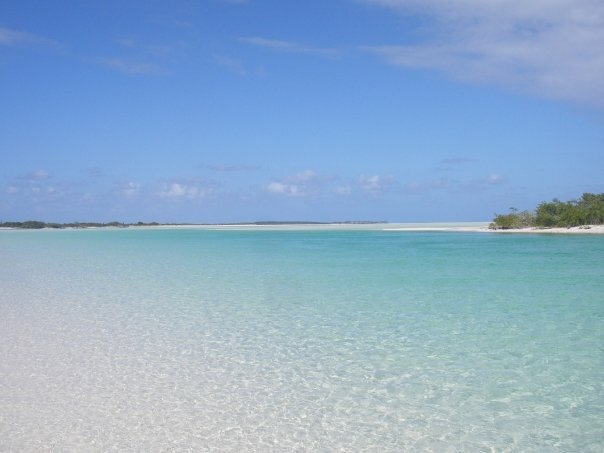 The best part of Acklins is its massive white sand flats that line the island’s entire shores. There are flats everywhere you turn. The tidal flats and creeks of Acklins are a fisherman’s paradise. 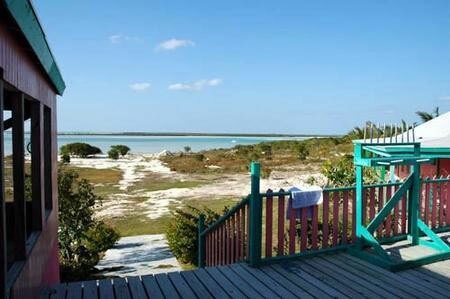 Acklins Island’s expansive flats offer anglers everything they seek in the Bahamas. 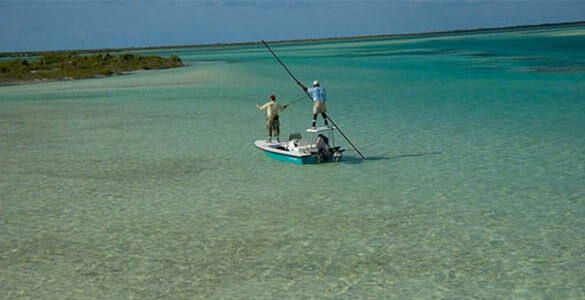 The flats are vast, the waters are generally smooth and you can fish the area year-round within minutes of the lodge. Because of the southern location of Acklins Island the weather patterns are very favorable and cold fronts tend to die out before they actual reach the island. 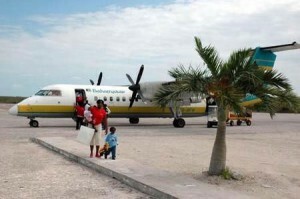 This is not true of more northern Bahamas destinations. 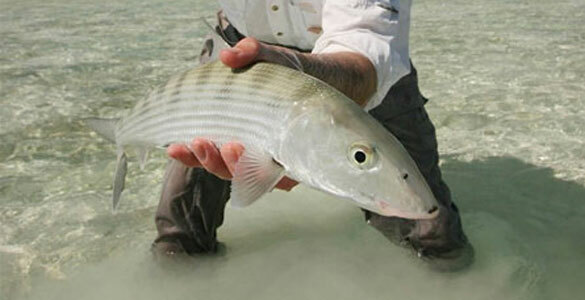 The average bonefish caught is 3-4 pounds and they are hard-core reel screamers. 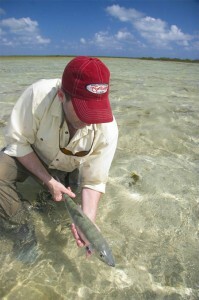 You will get shots at 6 -10 pound fish on a daily basis. 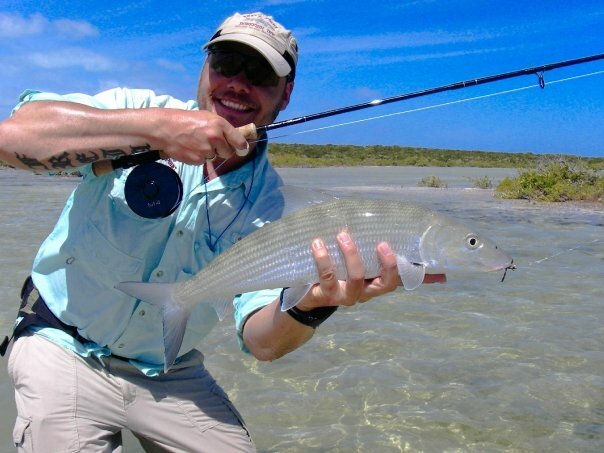 The largest recorded fish caught by a Grey’s Point guest is 16 pounds. Singles, cruising groups and tailing fish are abundant. There are excellent numbers of fish and it is not unusual on some flats to see 3 – 4 groups of 50 – 200 tailing fish in a group at one time. 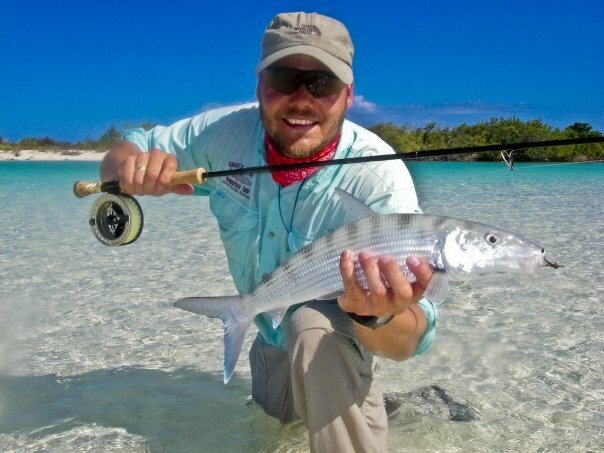 Grey’s Point Bonefish Inn location is at the center of the fishery. 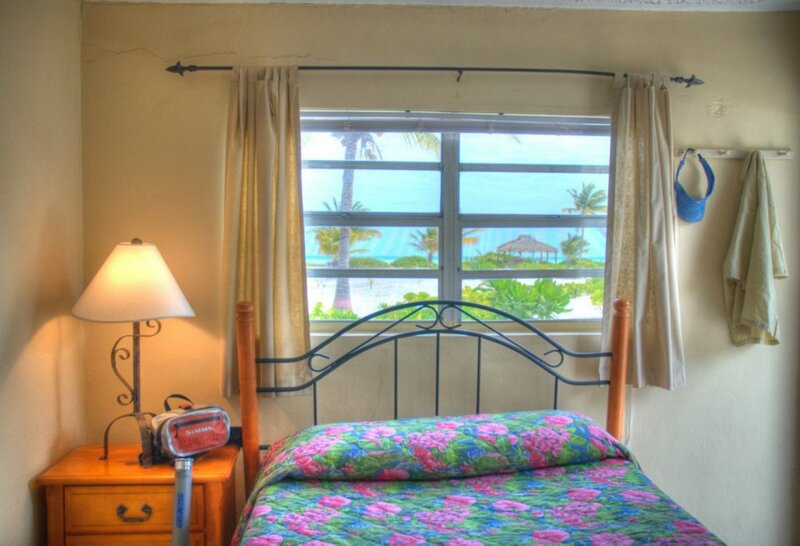 The numerous flats directly in front of your room are some of the best the island has to offer and they are but 100 feet from your room. 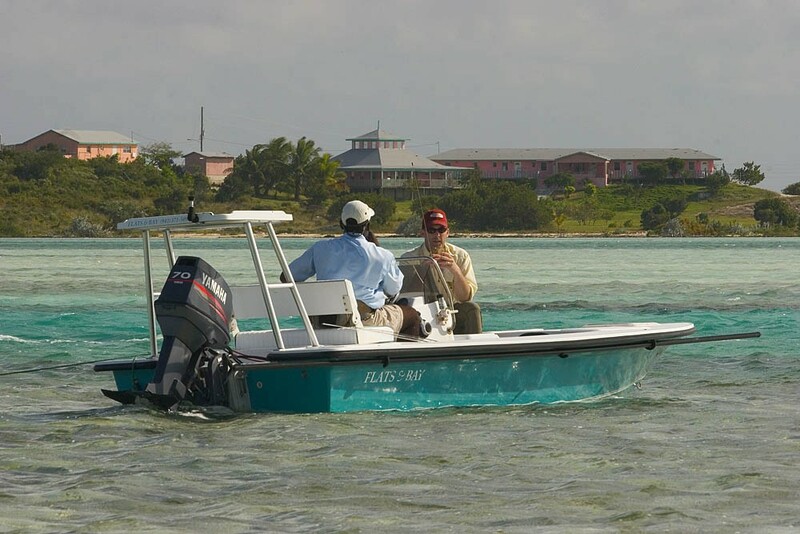 In addition to Bonefishing, deep-sea and reef fishing trips are available and trips can be booked on our 23 foot sport fisherman boat. 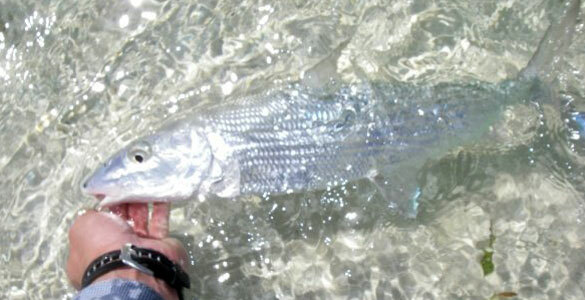 Bonefish are the primary target but other fish available include shark, barracuda, jacks, permit and tarpon. 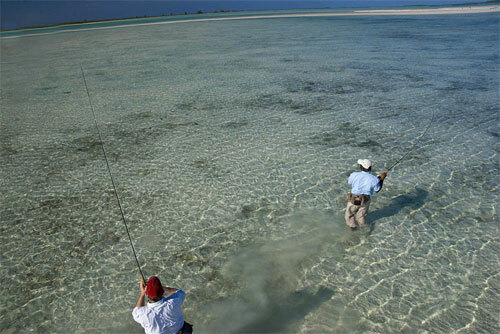 Offshore you can fish for grouper, snapper, yahoo, tuna, dorado and mackerel. 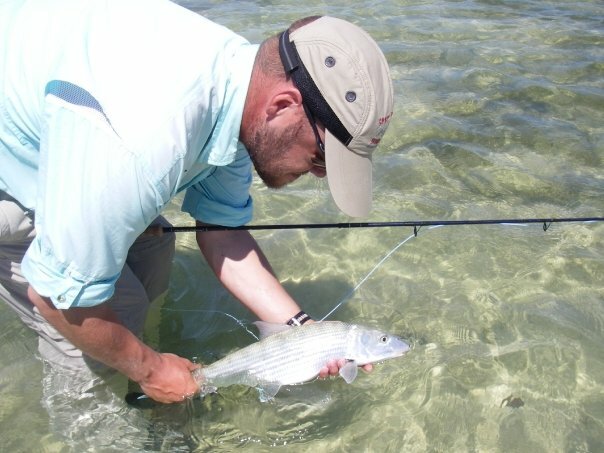 Whether you are a first time fisherman or an experienced saltwater angler everyone can experience this unique fishery. 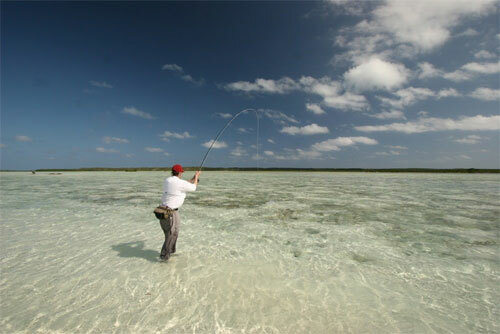 Fly Fishing Heaven is in the Bahamas! 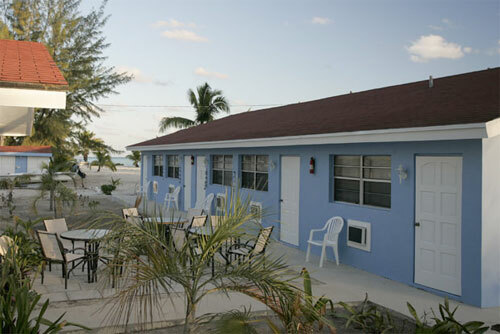 Grey’s Point Bonefish Inn is about 20 miles North of the Spring Point Airport. Newton Williamson, owner, will pick you up at the airport in one of the two vans used for transportation. 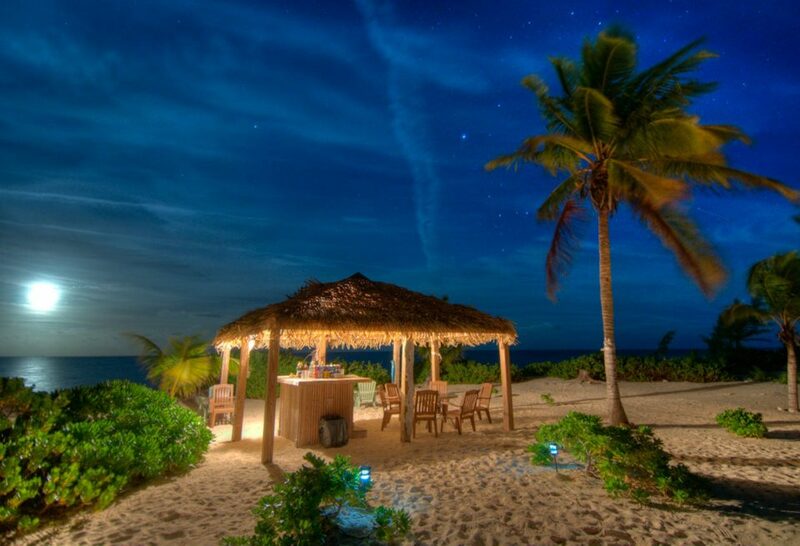 Newton’s quiet and gentle nature gives you the first clue at what you can expect — a family run business that prides itself in making your trip as relaxing, pleasurable and as memorable as possible. Traveling the 20 miles north from the airport at Spring Point, you get a glimpse from the van at the sheer numbers, beauty and vastness of the flats that await you. You will be amazed at the raw beauty of the area. You may pass a car, or not, in the 20 mile trip to Grey’s Point Bonefishing Inn. By the time you reach the main lodge your heart is pounding with anticipation. 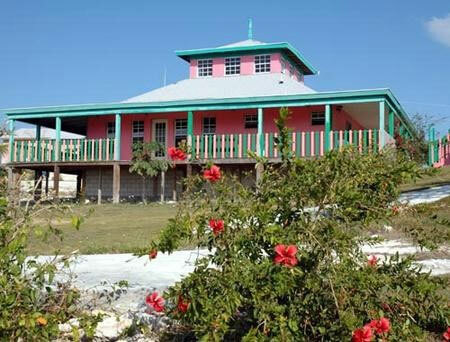 As the van turns into the driveway, the familiar Grey’s Point stucco entry wall, painted traditional Bahamian aqua and pink greets you and points the way to the main lodge. A minute later you are at the top of the driveway at the main lodge and guest rooms. You step out of the van and just when you think the views can’t get any better you take your first glimpse of the surrounding area from the lodge. 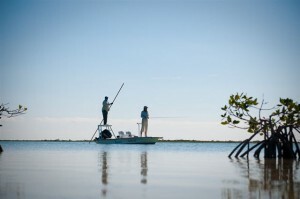 There, located only 200 feet from where you stand, are some of the finest Bonefishing flats in the world with a view to match. 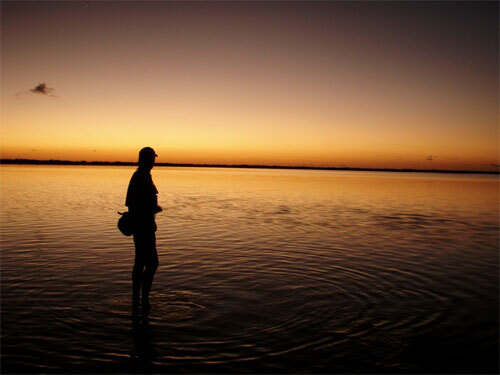 Resist taking that first picture – wait till you see sunrise and sunset! The urge to fish is overwhelming. Time for lunch and orientation. Shirley Williamson, chef extraordinaire, and Lavanda, assistant, have prepared lunch. 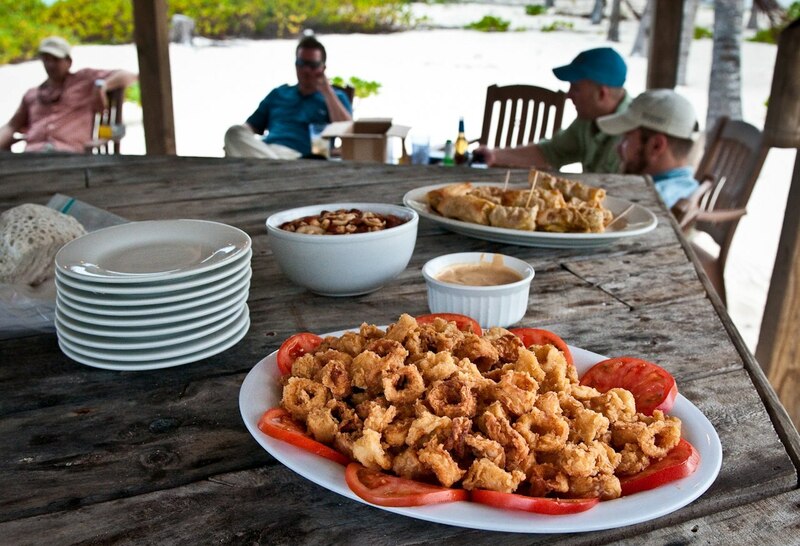 During lunch Shirley and Garron Williamson, head guide, orient you to the facilities, the immediate area, and the fishing. 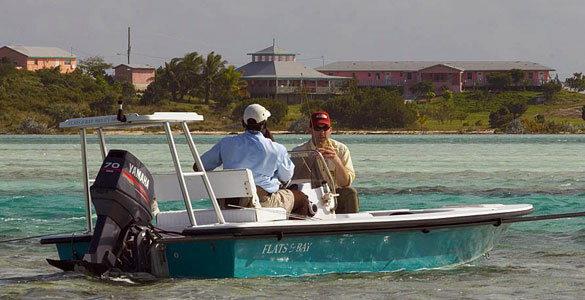 Questions about the area, where and how to fish are answered. After lunch get your gear in order, string your rod, wade fish, get the casting kinks out or, just rest and relax and enjoy the view and sun. 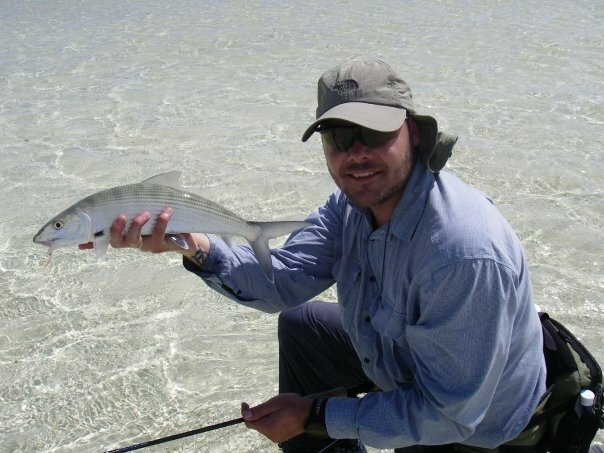 Fish the flats in front of the lodge and to the left and right, or canoe across the front flat and channel to the flats directly across from the lodge. This is about a 6-minute canoe trip for two people. 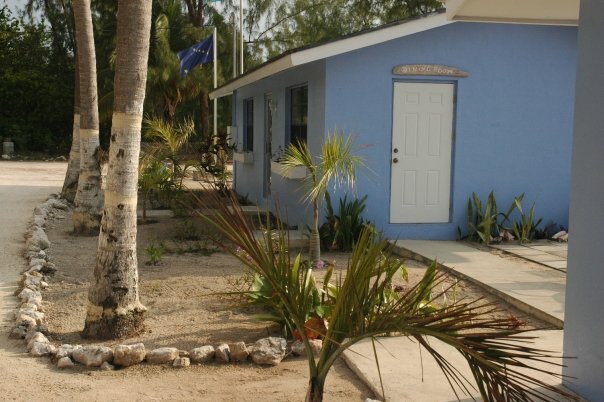 Everyone will enjoy the solitude and beauty of Grey’s Point and the sunsets on the deck, particularly while sipping on a Kalik (national beer). The day’s fish tales, coupled with tan smiling faces and a slower pace all make Grey’s Point an ideal fishing destination. 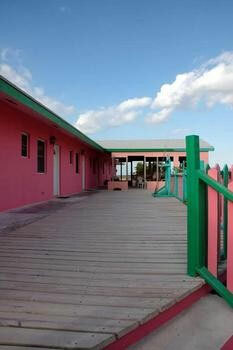 Individuals, small groups, families or corporate groups are welcome at Grey’s Point Bonefishing Inn. 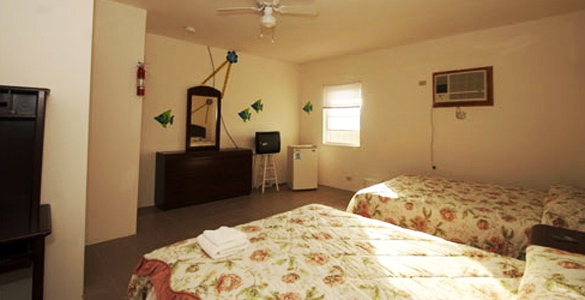 Six (6) rooms accommodate up to 12 persons. By limiting the number of guests to 12 this assures fisherman the personal service and quality fishing Grey’s Point Inn is known for. 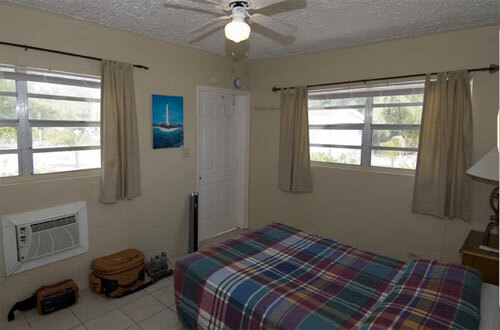 Each room contains two large double beds, Satellite TV, refrigerator, air conditioning, private bathroom, desk/fly tying desk. 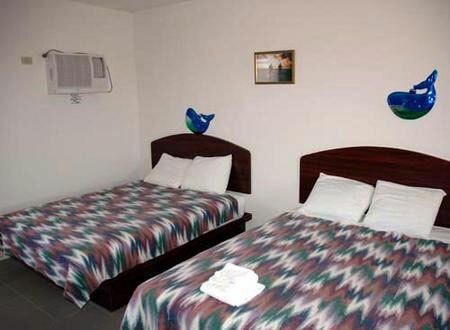 Rooms are cleaned daily with fresh towels and linens. Laundry services are available upon request. 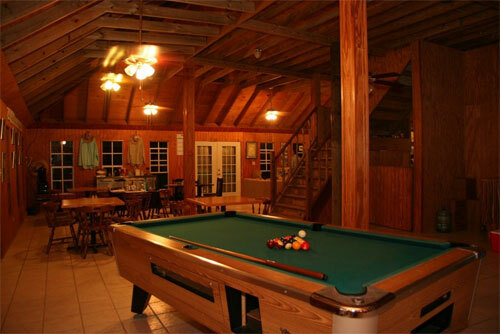 The main lodge contains the kitchen, dining room, lounge / TV – conversation area and game area that includes a full size pool table. 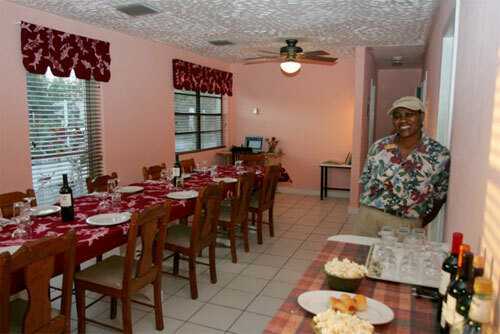 Shirley Williamson is the chef and meals are prepared Bahamian style. 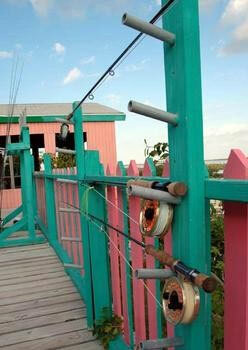 All seafood is caught locally and prepared Bahamian style. Dinners differ every day. 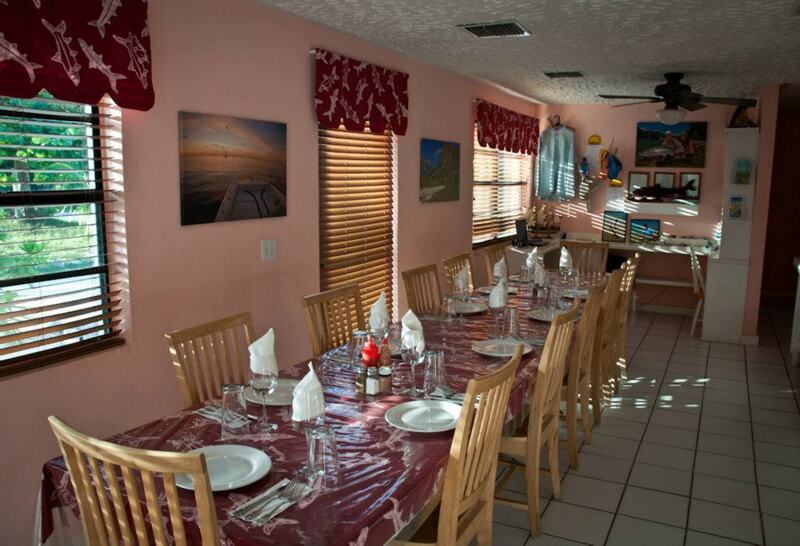 During your stay main course entrees may include: baked and stewed chicken, conch and lobster salad, lobster in the shell, conch fritters, conch stew, baked and boiled grouper and snapper. 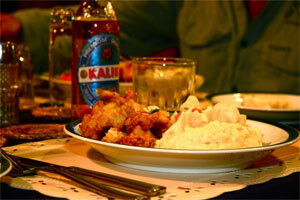 All dinners will have either rice or baked potatoes, steamed vegetables, and fruit. 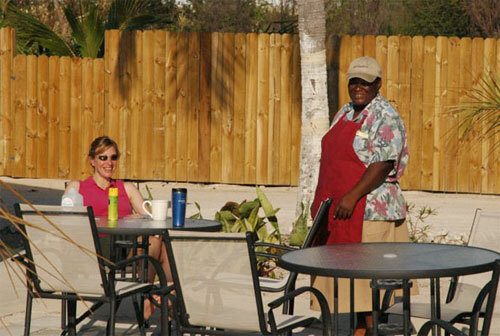 Desserts are always a treat and reflect the Bahamian style cooking. Box lunches include sandwiches or tortilla wraps, bottled water, pop, cookies, snacks and fruit. Breakfasts include fresh fruit, juice and toast every morning and a choice of eggs, bacon, pancakes, oatmeal, grits or cold cereals. If you have special dietary restrictions or needs please let us know early so we can accommodate your request. Coffee is ready at 6:30 am. Your day starts at 7:30 with breakfast. After breakfast, guides are assigned and it’s time to go fishing. Fish, have fun and may the wind and sun always be at your back. 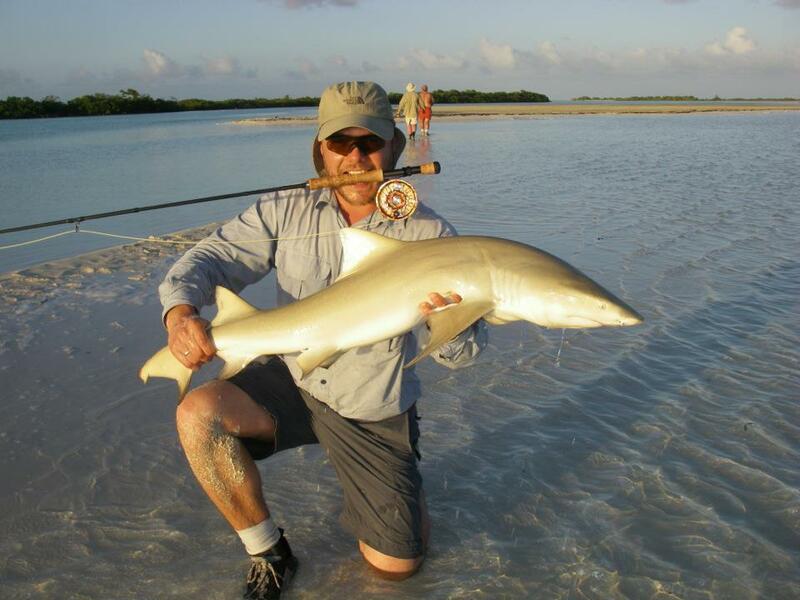 Acklins Island is becoming one of the premier destinations for world-class bonefishing. Relatively undiscovered it is an angler’s dream. 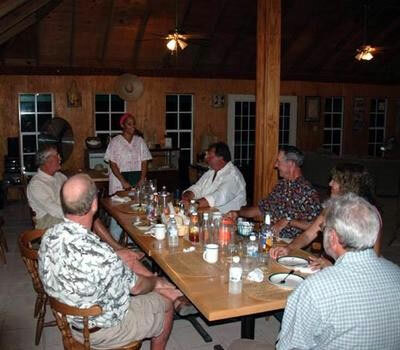 The fishery is nearly untouched because there is no tourism except for sport fishing on the island, the islands remote location and the limited air schedule. 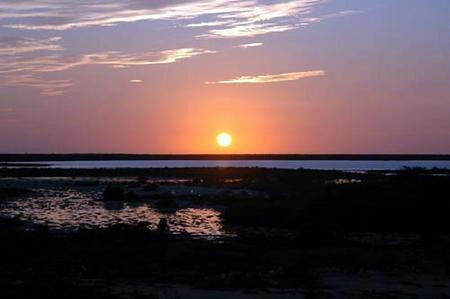 The tidal flats and creeks of Acklins are a fisherman’s paradise. 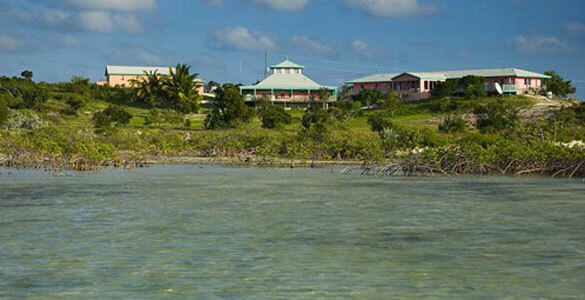 Acklins Island’s expansive flats offer anglers everything they seek in the Bahamas. 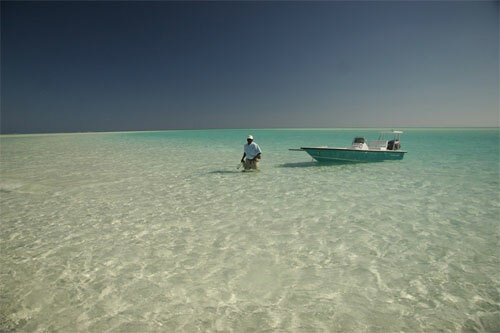 The flats are vast, the waters are generally smooth and you can fish the area year-round within minutes of the lodge. 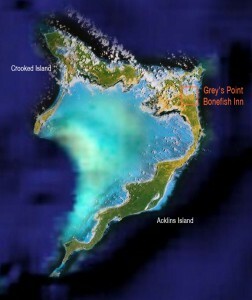 Because of the southern location of Acklins Island the weather patterns are very favorable and cold fronts tend to pass around the island. Are you ready to get ripped? 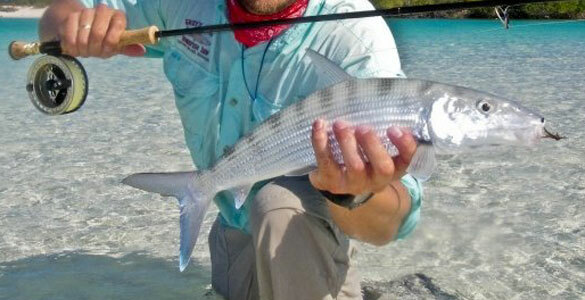 The average Bonefish caught is 3-4 pounds and they are hard-core reel screamers. You will get shots at 6 -10 pound fish on a daily basis. 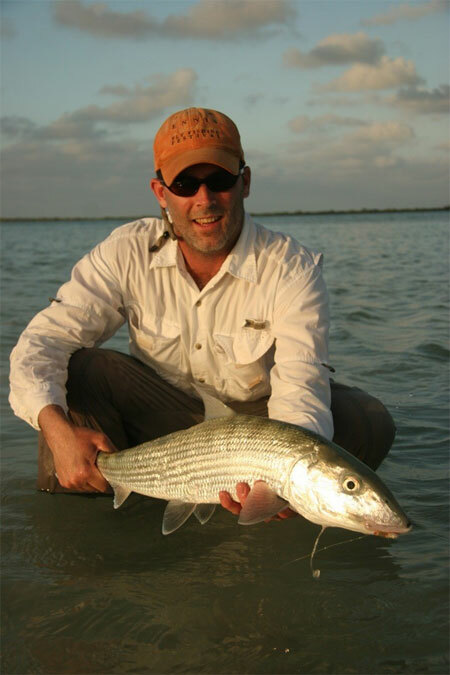 The largest recorded fish caught by a Grey’s Point guest is 16 pounds. 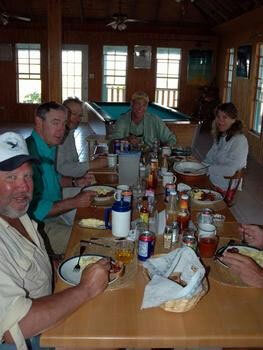 Singles, cruising groups and tailing fish are abundant. 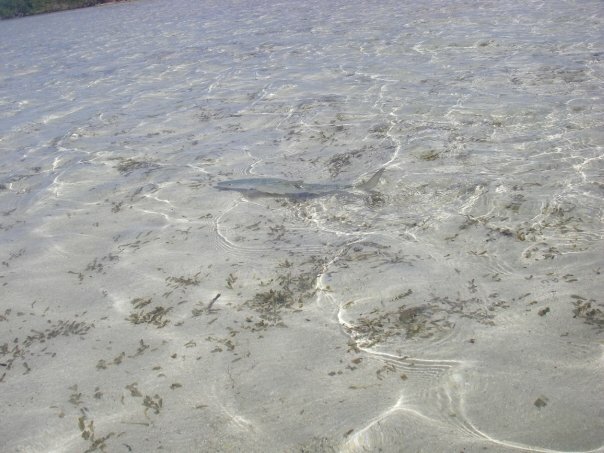 There are excellent numbers of fish and it is not unusual on some flats to see 3 – 4 groups of 50 – 200 tailing fish in a group at one time. 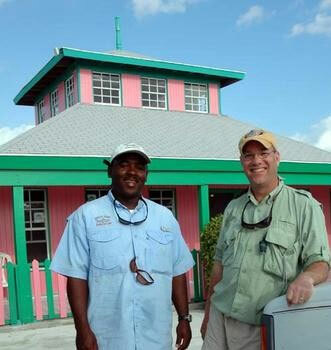 Whether you are a first time fisherman or an experienced saltwater angler everyone can experience this unique fishery. Searching for quantity or quality — we have it all! 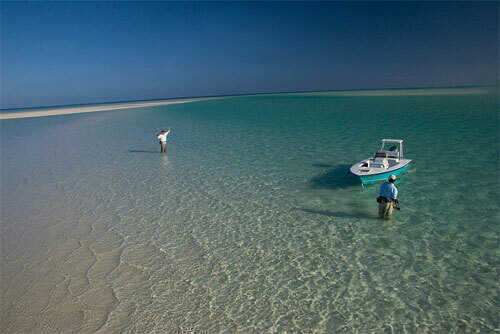 While fishing the flats you can expect a combination of wading the flats and poling from a flats skiff boat. 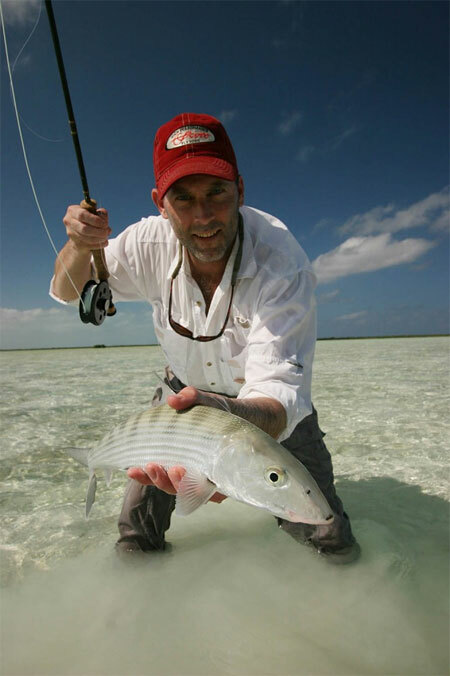 Whether you wade or pole depends upon the tides, your personal stamina and your personal fishing preferences. 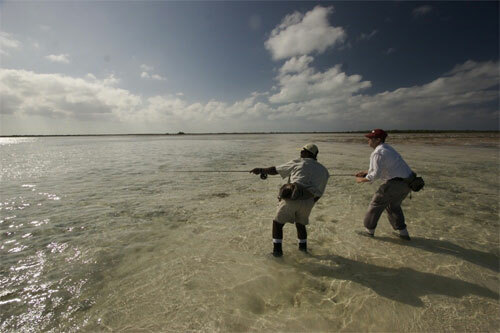 A full day of fishing starts at 8:30 am and lasts until 5:00 pm. 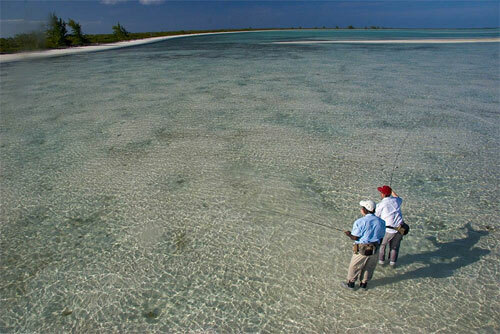 Extend your day of fishing by wading the flats directly in front and around Grey’s Point Bonefishing Inn. 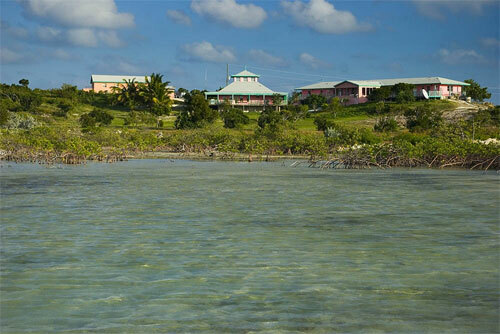 These flats are some of the best the island has to offer and they are 100 feet from your room. 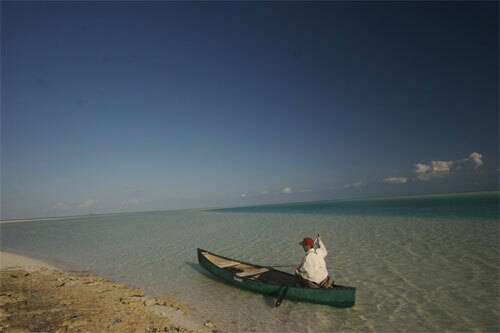 We have two canoes and one kayak for your use. 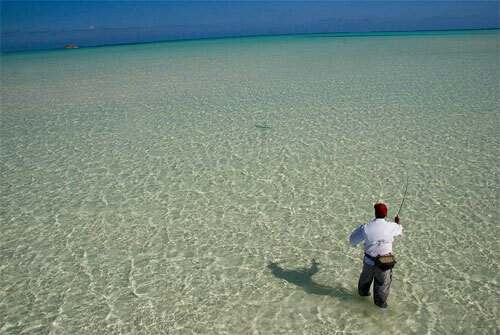 Looking for that trophy bonefish? We know their habits and where they hang out. 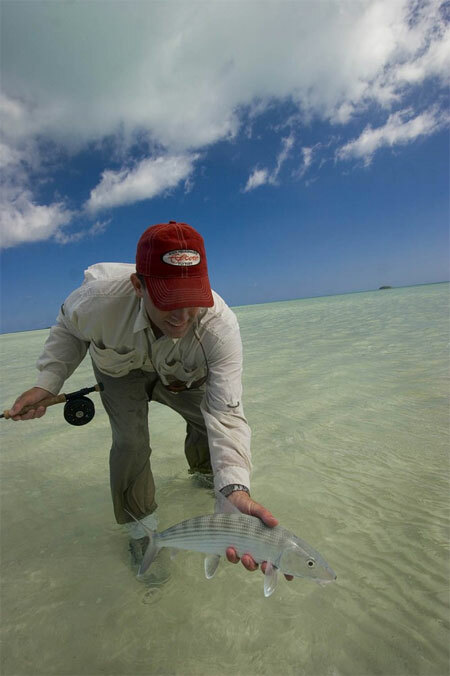 You have an excellent chance at catching big fish. You will get your shots. 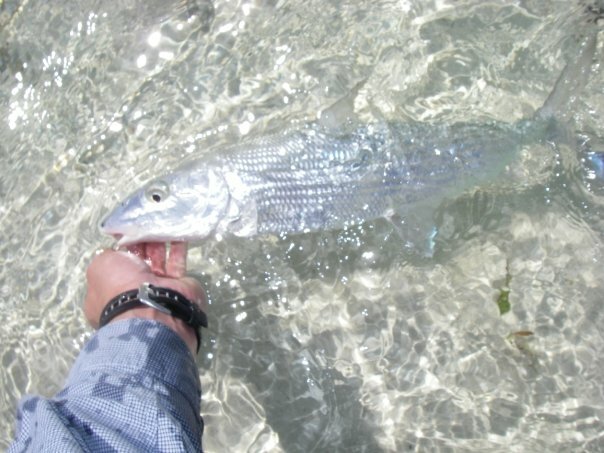 The biggest Bonefish caught by a Grey’s Point guest is 16 pounds with quite a few fish in the 12 – 14 pound range landed; 8 – 10 pound fish are not unusual and there are reports of 20 pound bonefish. 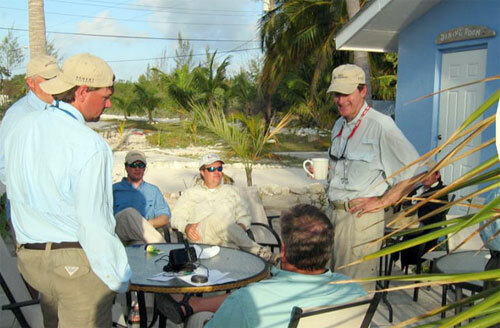 Prices Include: round trip ground transportation from Spring Point to the lodge, three meals a day, guided fishing each day ( for fishing packages), It includes an soft drinks, It also includes all taxes. 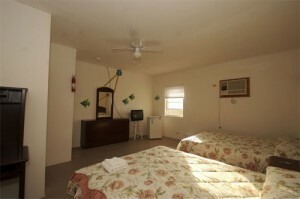 Prices quoted are in US dollars and are per person. 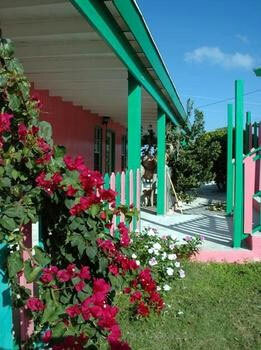 There is not a lot to do on Acklins but fish , explore some beaches or just relax into the Bahamian culture. For this reason it is not top on our list for non fishing members of the family. Please let us know and we can discuss it further! Bahamasair provides air service between Acklins Island and Nassau. 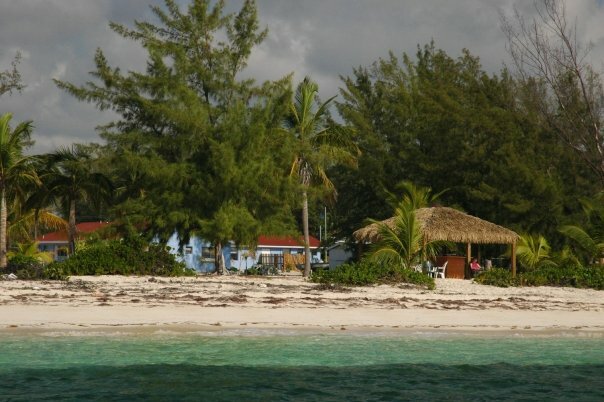 Flights to and from Acklins Island are available on Wednesday and Saturdays only. 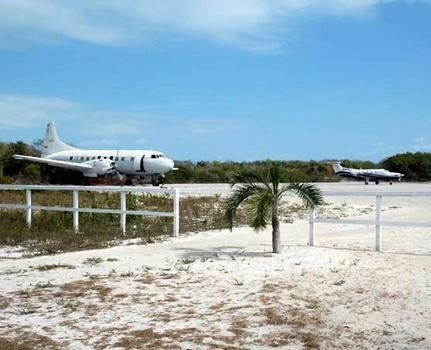 Private air charters can be arranged and may be more economical for a group of four (4) or more. 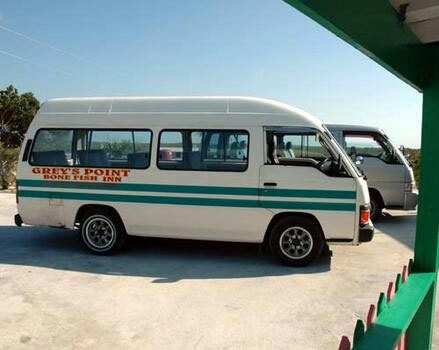 Grey’s POint will meet you flight and transfer you to the lodge by van. A vaccination against yellow fever is required ONLY if you are arriving from an infected area. No special shots are required. 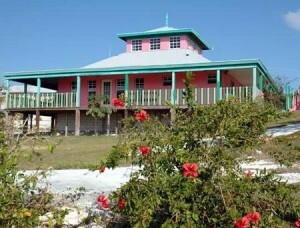 Upon entry into the Bahamas you will complete a tourist information card. A copy will be given to you, do not loose it; upon departure you will surrender it. 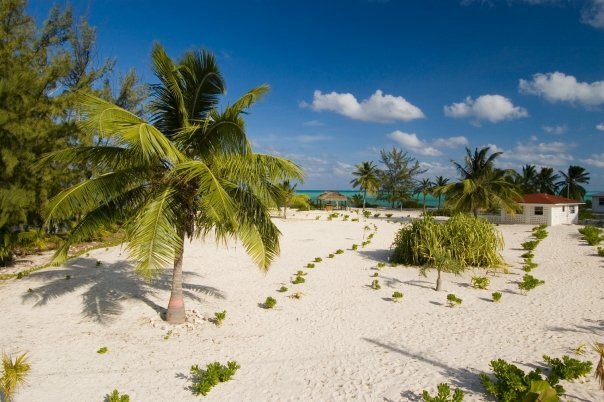 There is no sales tax in the Bahamas, however there is a departure tax of $15. Customs, Duties and Taxes – United States visitors can take home $600 worth of duty free goods; the next $1000 is taxed at 10%. For more specific information and specific regulations check with your country’s customs office. The mail boat /supply boat arrives at Acklins Island once a week on Wednesdays. If you have special dietary needs please let us know well in advance of your arrival so we may accommodate your request. Bring everything with you that you will need for your stay. For the adventurous minded soul the mail boat has passenger accommodations. 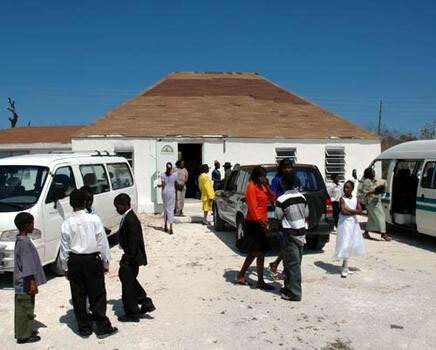 The trip from Nassau takes approximately 24 hours and arrives at Spring Point – check with us for schedules. 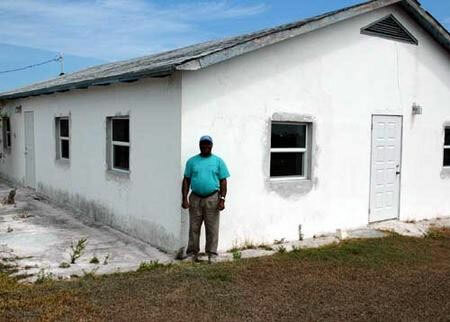 Food and water are safe in the Bahamas. 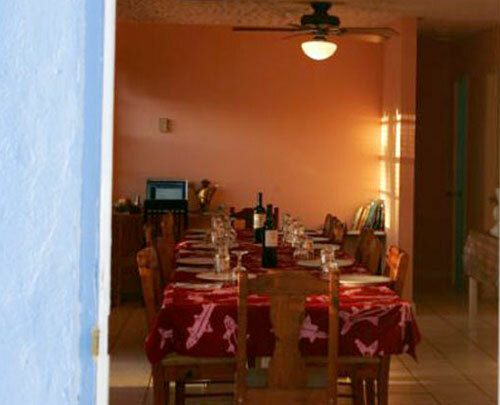 During your stay all meals are prepared for you. Bottled water and soft drinks are complimentary and beer can be purchased by the bottle at the lodge. 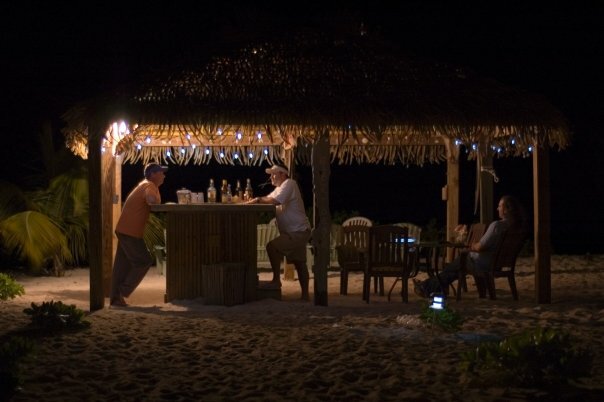 The beer of the Bahamas is Kalik, 5% alc./vol. (www.kalik.com). Any other beverages should be brought with you. The Bahamian national language is English. The US dollar is at a par with the Bahamian dollar. 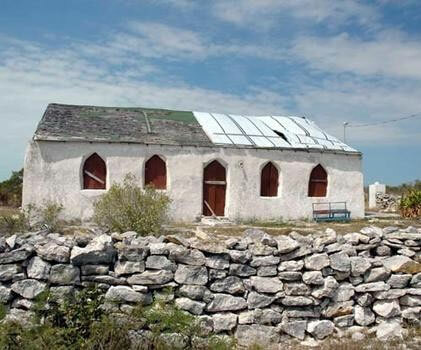 The US dollar is accepted all over the Bahamas so there is no need to exchange your money. 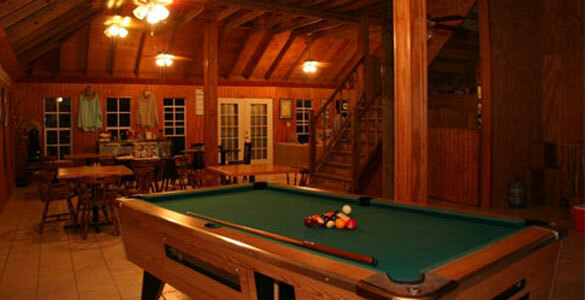 Cash should be used for anything purchased at the lodge. 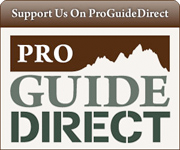 Credit cards are not accepted at the lodge. Electricity is 120-volts/60 cycles, which is compatible with all US appliances. There is a pubic telephone in the main lodge. Telephone calls can be received. 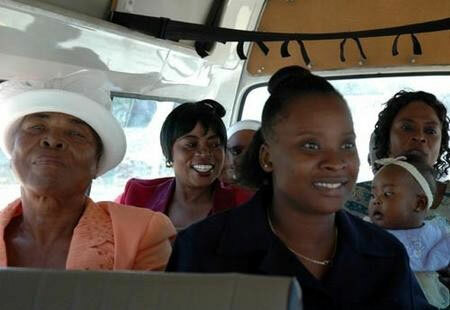 An international telephone card can be purchased prior to your arrival or in Nassau. No Internet connection is currently available.